GCI (Alaska) Archives · Stop the Cap! The Federal Communications Commission has quietly approved the acquisition of Alaska’s largest cable operator by John Malone’s Liberty Interactive with no deal conditions or consumer protections, despite fears the merger will lead to monopoly abuse. The purchase of Alaska’s General Communications Inc. (GCI) in an all-stock deal valued at $1.12 billion was announced in April 2017. GCI currently offers cable TV and broadband service to 108,000 customers across Alaska, and runs a wireless company. Those objecting to the merger claimed GCI already has monopoly control over broadband-capable middle-mile facilities in “many locations in rural Alaska” and that GCI has refused to allow other service providers wholesale access to that network on “reasonable” terms. They also claimed GCI received substantial taxpayer funds to offer service in Alaska, but in turn charges monopoly rates to schools, libraries, and rural health care providers, as well as residential customers. Essentially quoting from Liberty’s arguments countering the accusations, the FCC completely dismissed opponents’ claims, noting that Liberty does not provide service in Alaska, meaning there are no horizontal competitive effects that would allow GCI Liberty to control access to more facilities than it does now. On the contrary, the FCC ruled, the merger with a larger company meant the acquisition was good for Alaska. GCI’s current internet plans are considered more expensive and usage capped than other providers. In almost every instance, the FCC order approving the merger was in full and complete agreement with the arguments raised by Liberty Interactive in favor of the deal. This also allowed the FCC to reject in full any deal conditions that would have resulted in open access to GCI’s network on fair terms and a requirement to charge public institutions the same rates GCI charges its own employees and internal businesses. The FCC also accepted at face value Liberty’s arguments that as a larger, more diversified company, it can invest in and operate GCI more reliably than its existing owners can. The Justice Department and the Federal Trade Commission earlier approved the merger deal. Most analysts expect the new company, GCI Liberty, exists only to allow Malone to structure the merger with little or no owed tax. Most anticipate that after the merger is complete, the company will be eventually turned over to Charter Communications, where it will operate under the Spectrum brand. Three unnamed sources told the New York Post Charter Communications is seeking to acquire privately held Cox Communications, despite repeated assertions from the family owned Cox it is not for sale. Cox is America’s third-largest cable company with 6.2 million subscribers. A combination with Charter would still leave Comcast as the nation’s largest cable company. Wall Street has pushed cable companies towards further consolidation, and if Charter doesn’t approach Cox, it is highly likely Altice USA will. Cox told the newspaper all of this attention is unwanted. “Cox has been very clear and consistent that we are not for sale and, in fact, we’re aggressively investing in our network, products and strategic partnerships and investments of our own,” Cox spokesman Todd Smith told The Post on Wednesday. But some cable watchers expect Cox may not want to stay in the family if the price is right. In April, Alex Taylor, the great-grandson of founder James Cox was named Cox’s next CEO, starting Jan. 1, 2018. Charter may also eventually grow by at least 100,000 new subscribers as John Malone’s Liberty Interactive’s ownership of Alaska-based GCI might not last long. Cable watchers predict Malone will flip GCI to Charter Communications after the deal closes, which would result in a likely quick rebrand of GCI as Charter/Spectrum. Cable magnate John Malone’s Liberty Interactive today announced it would acquire Alaska’s largest cable operator General Communication, Inc. (GCI) for $1.12 billion in an all-stock transaction. Malone is the biggest individual shareholder of Charter Communications, Inc., and has decades of experience running cable companies in the lower 48 states and abroad. He also has experience structuring deals to avoid the U.S. tax authorities, and this deal is no different. Malone will pay zero taxes on the transaction by creatively spinning off the cable operator, first rechristening it as QVC Corp (named after his home shopping channel), then combining QVC Corp with Liberty Ventures and splitting off the combined company to existing Liberty Ventures shareholders. When the transaction is complete, Malone will again rename the cable company GCI Liberty and keep all the proceeds for himself and his shareholders. GCI’s 108,000 customers won’t see any changes at the cable company and wireless venture this year. The deal is not scheduled to close until 2018. 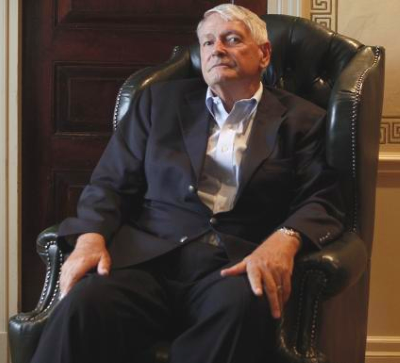 GCI’s oldest customers may recall John Malone used to own the Alaskan cable operator, but under a different name. Until 1986, it was part of Malone’s Tele-Communications, Inc. (TCI) empire. Malone’s operating philosophy these days is best represented by Charter Communications. GCI customers can eventually expect to see a dramatically simplified menu of choices for broadband, television, and telephone service. Broadband from GCI is expensive and usage-capped. Its $60 entry-level plan offers 50/3Mbps service that is “speed reduced” after 50GB of usage a month. For that reason, many customers prefer GCI’s “Faster” plan of 100/5Mbps service for $84.99 a month, with speeds curtailed after 250GB of usage. A gigabit tier is available in certain locations offering 1,000/50Mbps for $174.99 a month, speed-throttled after 1TB of usage. Broadband life in Alaska is usually a choice (if you live in Fairbanks, Anchorage, Juneau, or another significantly sized city) between usage-capped cable operator GCI or slow-speed DSL (if you can get it) from Alaska’s two telephone companies – ACS, where unlimited service is still available, or MTA, where a 10Mbps Internet plan starts at $50 and offers up to 50GB of usage a month. GCI has traditionally been the fastest option, but the company’s usage caps and high prices have brought scores of complaints from customers over the years. A basic 10/1Mbps internet plan costs $59.99 a month and only includes 40GB of usage. 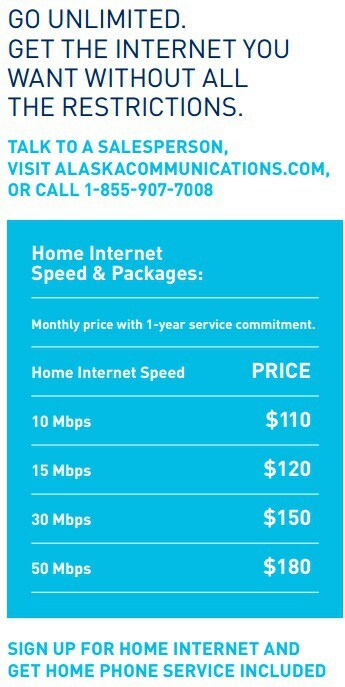 Many Alaskans who want faster access with a more reasonable allowance have to spend $84.99 a month for 50/3Mbps access to get a 150GB usage allowance or $134.99 for 100/5Mbps service with 300GB of included usage. Late last week, GCI announced it was boosting the usage allowance for just one of its plans, the premium-priced, limited availability 1,000/50Mbps plan ($174.99), which until recently included a 750GB usage allowance. The new usage allowance is 1TB (1,000GB). Alaskans face high prices for internet access from GCI, the state’s largest cable company. Gigabit customers like Stop the Cap! reader Dave Langhorn certainly hoped so. Our reader Michael Horton is incensed that GCI managed a usage allowance boost for its most premium internet plan, while leaving everyone else with the same old service. Horton considers data caps anachronistic at a time when the digital economy is moving towards online distribution of products and services like movies, games, software, and other digital products. Even Windows 10 has been more often installed from a download than from physical media. GCI has promised to address at least one of Horton’s concerns, stating they are planning speed boosts and allowance upgrades for all of their internet plans at an unspecified time later this year. Horton and Langhorn both believe that those voices would be heard much louder if GCI had more significant competition. Alaska’s largest cable company today unveiled changes to its Internet plans, ditching surprise overlimit fees in favor of a speed throttle. 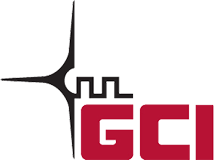 GCI has been the subject of bad press in the past, with some customers experiencing up to $1,200 in overlimit fees after exceeding GCI’s usage allowances. In an effort to avoid public relations nightmares like that, GCI will stop assessing automatic overlimit fees and instead impose a speed throttle on customers over their limit that will temporarily reduce broadband speeds to less than 1Mbps until the next billing cycle begins. Customers can voluntarily pay for more usage in $10 increments, which buys a reprieve from the speed throttle. Customers on lower speed plans continue to face a lower usage allowance and will receive considerably less extra data for their $10 add-on data plan. GCI’s highest speed re:D offering does get a bigger usage allowance: 600GB, up from 500GB. An $11.99/mo surcharge continues for broadband-only customers. GCI’s largest competitor remains telephone company ACS, which heavily markets its unlimited usage DSL plans. Almost as an afterthought, ACS now markets packages that include landline service with unlimited local calling and 180 minutes of long distance for free. A price comparison between the two providers is somewhat hampered by the fact GCI does not publicize a broadband+home phone bundle package on their website. GCI Home Phone is priced at $19.99 a month. A 10Mbps unlimited use package from ACS costs $110/month. A 10Mbps plan from the cable company with a 30 40GB allowance + GCI Home Phone costs $79.98. On price, GCI wins at this speed… if you stay within your allowance. A 50Mbps unlimited use package from ACS runs $180 a month. GCI charges $104.98 with 150GB of included usage. Again, the price winner is GCI if you stay within your allowance. Taxes, surcharges and government fees are extra. Heavier users may find ACS’ initially higher prices worthwhile if they are forced to buy GCI’s add-on data buckets. Both companies charge considerably more than providers in the lower 48 states. Last year, nearly 10% of GCI’s revenue was earned from automatically applied overlimit fees. Giving up some of that revenue is a concession, but one that is likely to end bill shock and negative media attention. Still, usage allowances remain arbitrary. GCI’s entry level 10Mbps plan only offers a paltry 30 40GB a month — an allowance largely unheard of among other U.S. cable providers. 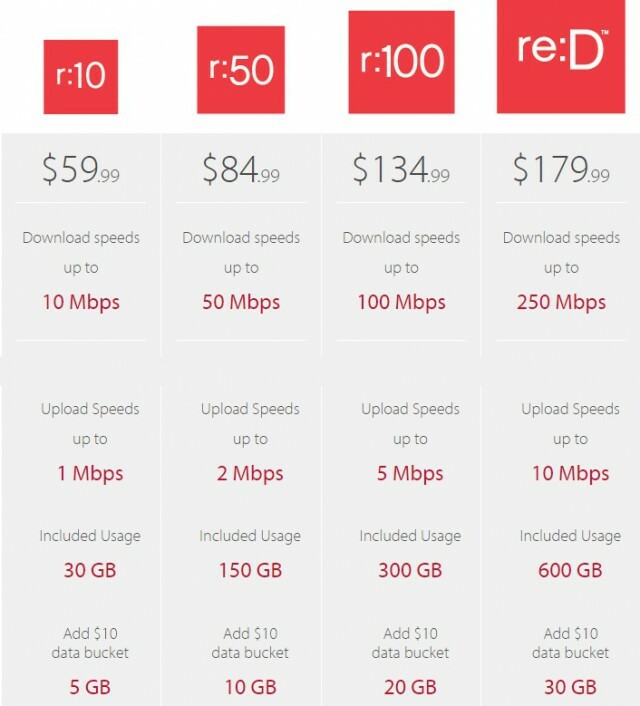 GCI will also have a difficult time explaining why $10 will only offer one customer 5GB of extra usage while others will get up to 30GB. The costs for the additional data to GCI are the same. Our thanks to an anonymous reader for sharing the news. Updated 4:08pm EST 1/15: After going to press, GCI changed their website, adjusting the usage allowance for their 10/1Mbps plan to 40GB (up from 30GB) and deleted references to the $11.99 surcharge for broadband-only customers, which apparently no longer applies.